Home » Lake Wales employmenttitle_li=Lakeland Employmenttitle_li=Polk County employertitle_li=Polk County employmenttitle_li=Polk County jobstitle_li=Polk County Staffing Servicetitle_li=Winter Haven employment The Proof Is in The Proofreading: What Is Preventing You from Getting Hired? One of the most important parts of your job search, interview, and hiring process is the writing of your resume. 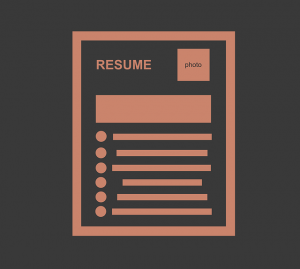 Perfecting your cover letter, references, and resume is key to standing out from the crowd of applicants who all want the same job you do, and could be the leg up you need to get hired. However, it can also be your downfall if executed poorly, and proofreading should be your focus when it comes to preparing your paperwork for your next application and interview. When proofreading, you have several steps to remember. One, be sure to include all current and past employment, even if it isn’t relevant to the job to which you are applying. Leaving things off your resume can look bad if your potential employer explores your background on his/her own and finds something out you didn’t plan for. Second, you need to check and double check all included references. Be sure that all persons listed still want to be a reference for you, work through all numbers and addresses to be sure they are the most recent contact information, and finally, you need to go over each part of your cover letter and resume for typos, spelling errors, grammatical mistakes, etc. These make your resume appear very unprofessional and can give employers the indication that you are sloppy, unorganized, and don’t pay attention to detail, none of which are qualities they’ll be looking for in their staff. Proofreading for errors and typos can be difficult to spot if you’re simply reading your own papers over and over, seeing as how the human mind can read what it WANTS to see instead of what’s actually there. That’s why we encourage job applicants to have a friend or family member go through their resume at least a couple of times to check for mistakes. Other options include purchasing a proofreading software that can assist in finding and correcting errors, or if you really want to make sure your resume is top-notch, you can hire a professional service to help you put together and proof read each page so you can be confident when you hand it to your interviewer or HR staff. PHR Staffing Solutions is here to help Polk County residents with all of their job hunt and hiring needs, from the application process to building a better resume. We have the resources you need to find a job faster and jumpstart your career. Give us the chance to help you get hired. Call us for more information or apply for one of our current openings online!